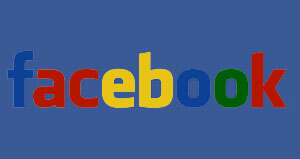 Is Facebook The Next Google? Something is definitely changing over at Facebook, and it is beginning to look more and more like the popular social network is aiming to become the next Google. No, the site hasn’t gotten into being a search engine (yet), but it certainly seems like they are on a buying spree as of late, and that makes you wonder what their eventual end game is. The whole buying spree started back in August with the acquisition of the struggling social aggregator, FriendFeed. It seems that this particular purchase may have been more about acquiring the talent than the service itself, but as of this writing the site is still functional. Now comes the news via TechCrunch that Facebook is doing some sort of background checks on location-based social network Loopt. This may be nothing, or it may be the precursor to a purchase, neither company will comment at this time on the rumor. If this proves to be true, this would be Facebook getting serious about the social aspects of location fairly quickly, and it would probably deliver a killing blow to the quickly rising star of Foursquare. When you add in the rumors that Facebook is working on upgrading its internal messaging system to a full e-mail service, and things really do begin looking like it is moving towards taking on the giant known as Google. Think it’s all coincidence? In a recent profile on the company from Fast Company, Ellen McGirt brought up the subject of chasing Google and its 800 million users, but company founder Mark Zuckerberg wouldn’t comment on that speculation. Other employees weren’t quite as reluctant though, “We always have a big dragon to slay,” one staffer told Ms. McGirt, “and this year it’s Google.” Will they do it via the number of users, or will it be by offering their users more and more reason to stay on the site longer than they already do? Most metrics show that the average session of a user is already 40 minutes, but if you added in reason for mobile check-in, and full e-mail usage, and you might find that a Facebook user would never check out of the service.